On FreeBSD the default kernel is compiled to support ACPI. 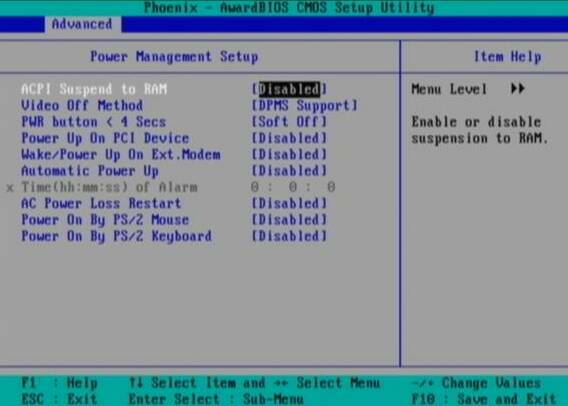 Most of the modern PCs has already embedded support for ACPI power saving instructions. Therefore a default installed FreeBSD is trying to take advantage of this at cases and is trying to save energy. This is not too useful on servers, because saving energy could have at times a bad impact on server performance if the server is heavy loaded at times and not so loaded at other times of the day. Besides that on servers saving energy shouldn't be the main motivator but server stability and productivity is. Therefore in my personal view on FreeBSD used on servers it is better to disable complete the ACPI in order to disable CPU fan control to change rotation speeds all the time from low to high rotation cycles and vice versa at times of low / high server load. Another benefit of removing the ACPI support on a server is this would probably increase the CPU fan life span and possibly prevent the CPU to be severely heated at times. Moreover, some piece of hardware might have troubles in properly supporting ACPI specifications and thus ACPI could be a reason for unexpected machine hang ups. With all said I would recommend to anyone willing to use BSD for a server to disable the ACPI (Advanced Configuration and Power Interface), just like I did. Hence, to control if ACPI is loaded or not on a FreeBSD system with no need to reboot one can use kldload, kldunload module management BSD cmds. It is generally a good idea to disable the ACPI thermal monitoring, as many machines hardware does not support it. Other alternative method to permanently wipe out ACPI support is by not compiling ACPI support in the kernel.